Home Air Conditioning Advice What is HVAC? HVAC stands for heating, ventilation, air conditioning and is a relatively new term within the industry and was probably imported from the USA. Some people hear the term HVAC mentioned and think it is a product or a specific new technology and are curious to understand how it works. However, when people search Google for “What is HVAC”, prepare to be a little disappointed. So what is HVAC? Well, HVAC is neither a product of a specific technology. It is in fact just a general term to describe the integration of a buildings heating, ventilation and air conditioning systems. Traditionally, older buildings in the UK still have separate systems for these three disciplines. However, the modern approach is to combine heating, ventilation and air conditioning into a fully integrated system. These are known as HVAC systems and the integration may well be as simple as they share the same air distribution ducts, although modern HVAC systems are much more self contained. Although this concept is by no mean new, it has tended to have been limited to larger buildings and designed in from the outset. A number of factors have come together in recent years that have made HVAC much more relevant in nearly all types of buildings. These include the world wide drive to cut carbon emissions, considerable increases in energy costs, massive improvements in technology in heating, ventilation and air conditioning. 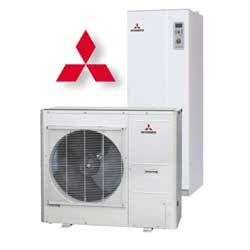 Systems such as the ‘Hydrolution’ from Mitsubishi Heavy Industries is a great example of where HVAC has moved into the domestic and small commercial sphere. These air conditioning units contain a heat pump which both heats and cools the air and hot water supplies. 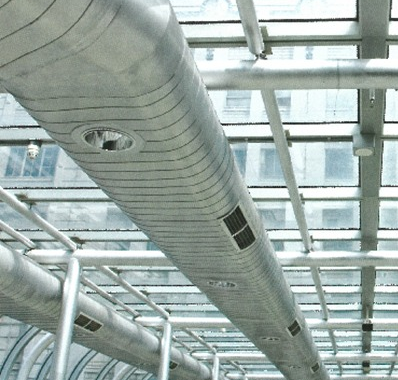 The extent to which such systems are providing ventilation is perhaps limited, but it demonstrates that the lines are often blurred around the term HVAC. What is R-22 and what is all the fuss about ?